We are continuing birthday celebrations here at The Love Nerds with a cute and delicious cupcake idea from Home is Where the Heart is: Minnie Lemon Raspberry Cupcakes! First, I love lemon and I love raspberry, so this cupcake recipe from Home is Where the Heart is sounds just incredible! I’ve said it before, but I just don’t go for plain cupcakes. I love them to be a little bit more special like these are. Second, how cute are they for a Minnie Mouse party?! 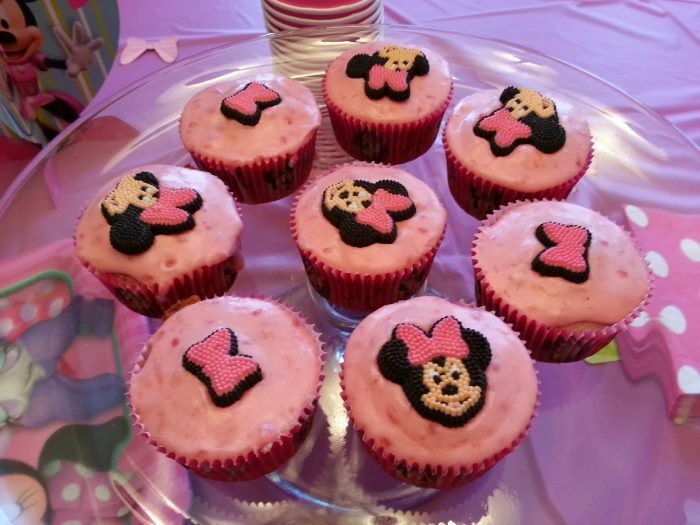 With the pink icing and Minnie embellishments, these are just perfect for a little girl’s birthday party. Any little girl would certainly feel special if you made these for her. Thanks for featuring my cupcake recipe!